Which club is best for chipping? 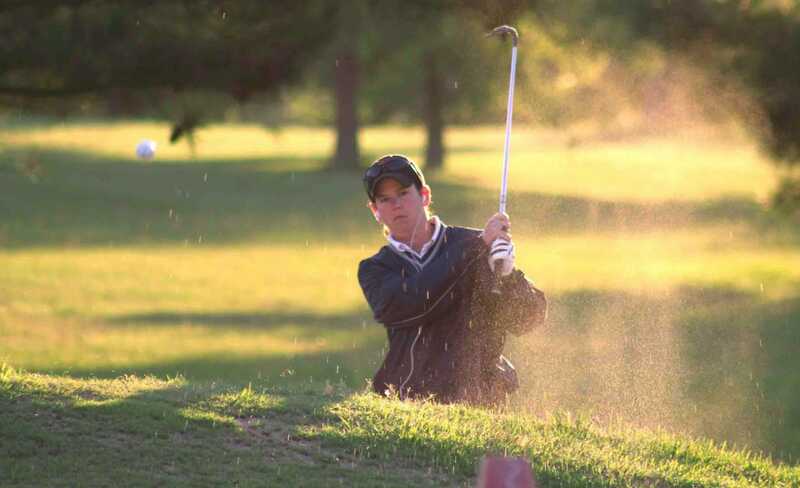 Chipping the ball is one area in which a golf beginner can become proficient fairly quickly. The swing is very short, so it’s easy to make solid contact and earn a nice result. There are two primary components required to become good at chipping: correct technique, and understanding which club to use for different situations. So let’s start with the technique first as without this the clubs you choose will be irrelevant. Chipping is one of those techniques that’s often overlooked by amateur golfers. After all, the main focus is on driving the ball far and getting to the green. We follow the professionals who regularly hit the green and when they do require a chip shot they make it look so easy. However, for those of us who miss the green a little more often, a pitch shot is going to be a crucial tool to help you complete the hole. A chip shot consists of a shorter swing of the club than most shots and as such requires a different approach. Golfers who struggle with contact usually have a poor set up and stance. You’ll want to set up your chip shot with a very narrow stance. Your feet should be as close as they would be as if you were putting. The ball should be in the middle of your stance to ensure that you make solid and crisp contact. Golfers often tilt away from the target because they instinctively want to help the ball up then they push their hips toward the target. These moves drop the right side of the body lower than the left side, which shifts the low point of the swing behind the ball. That’s a major cause of chunks and skulls. You’ll want a very short backswing along with an equally short follow through. You’ll modify the length of the swing depending on how far you need to hit the chip shot. So we will look at the set up first before we address the issue of which golf club or clubs to use. A good way to think about how much to put behind the shot is to think about how much energy you would put into an underhand toss of the ball to the hole. This will give you the idea of roughly the amount of strength and arm movement you will need to put into the swing to get the ball to the hole. Chip shots can be practiced almost anywhere and with very little space. Your back garden and a basket of balls could be ideal. Just take a few golf balls, set up a target (i.e. basket, small box) about 10-20 yards away and start chipping towards the target. Once you begin to see success and hit the targets from these shots, move the target and start practicing again. If you are still having difficulty hitting your chip shots right then a simple fix can sometimes be a simple adjustment in the ball position or weight distribution. Talking of weight distribution, one method that can help improve chipping performance is to place a little extra weight on your left foot and keep it there throughout the chipping motion. Another method is to play the ball far back in your stance rather than forward. What club do you use for chipping? Well, once you’ve got a decent handle on the fundamentals of chipping you will be in a great position to play a variety of shots with the pitching wedge. This will give you shots such as a low shot that rolls after landing or a high shot that then stops abruptly on the green. Experienced golfers will choose from a wider range of clubs such as the 7,8,9 and wedges, depending on their lie, the length of the shot and the slope of the green. But in the early stages of your beginner-journey just stay focused on the basic chipping setup, stance/weight distribution, ball position, and swing. Save the more advanced stuff and a wider range of clubs for later. In the beginning, the pitching wedge is going to be your best friend in these situations.